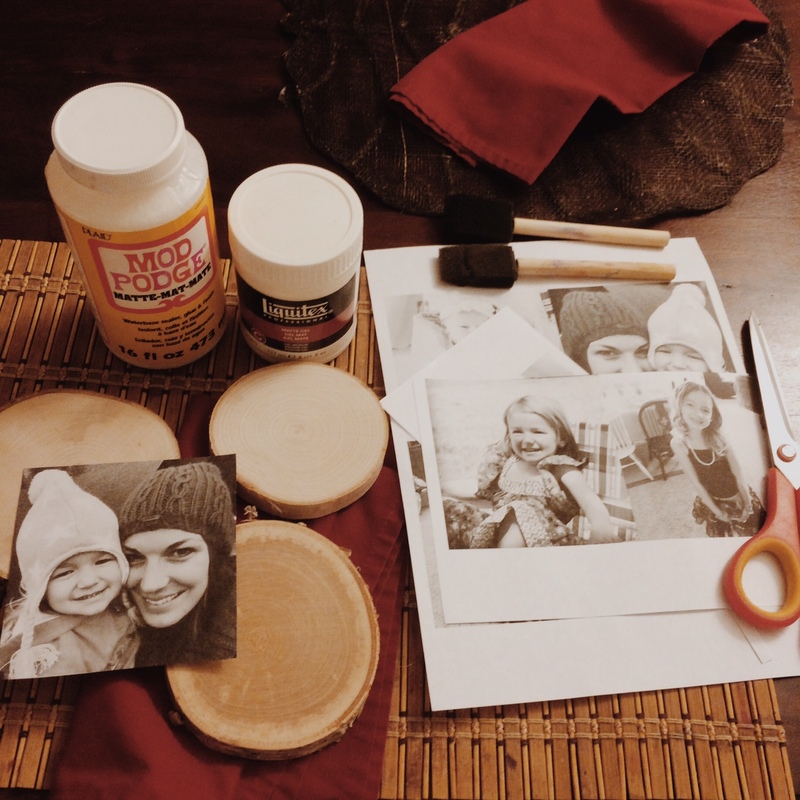 Today, I am going to share how to photo transfer to wood! This is one of my all time favorite crafts and can be used to make amazing personalized gifts, decor and Christmas ornaments. 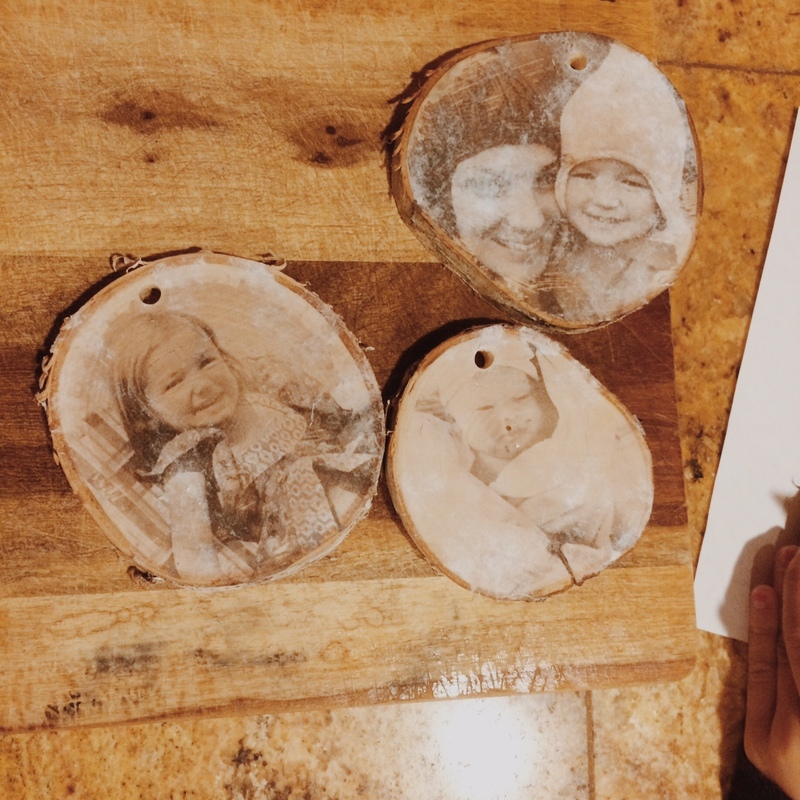 I am focusing on how to make some really cute and unique personalized photo transfer to wood ornaments since Christmas is coming up. What is great about this project is, its much easier than you would think. I first stumbled upon this process about four years ago and had fun making this larger photo transfer to wood back then. Since then, I use the process to make gifts for people when I want something really unique. 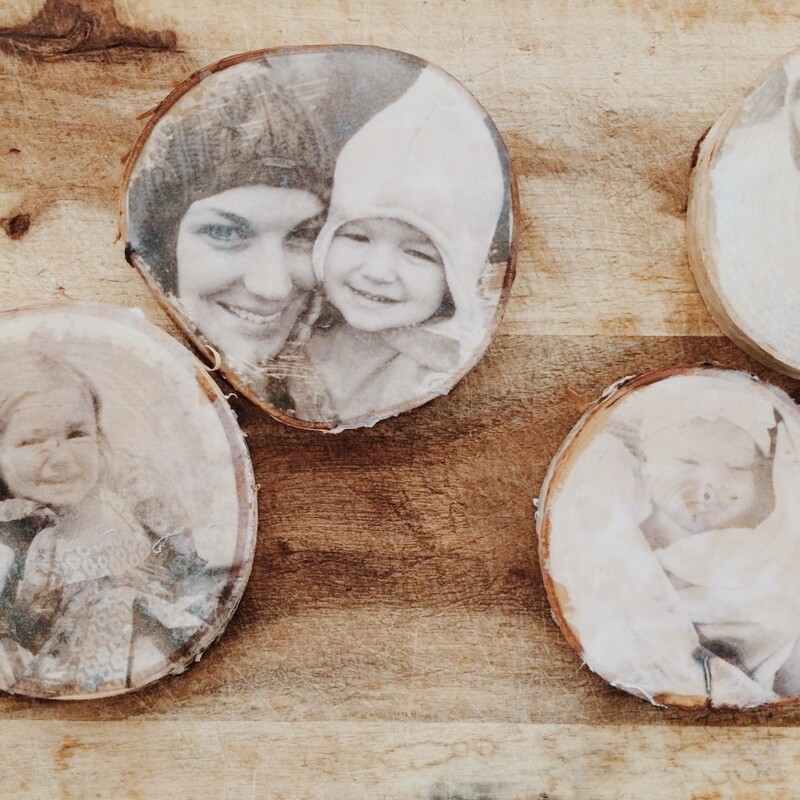 Natural wood discs, around 4″ dia. Drill & Drill Bits (if you’d like to hang the ornaments from ribbon) or you can use a simple eye hook at the top of the ornament. After you’ve gathered your supplies, you’ll want to print out on regular copy paper in black in white, a mirror image of your preferred image. Instagram pictures work really well with this project because you can use an app to mirror image, resize your pic and save it at around 4″ square. You can also do this in photoshop, gimp, a copy machine or at a local print shop if you need help. 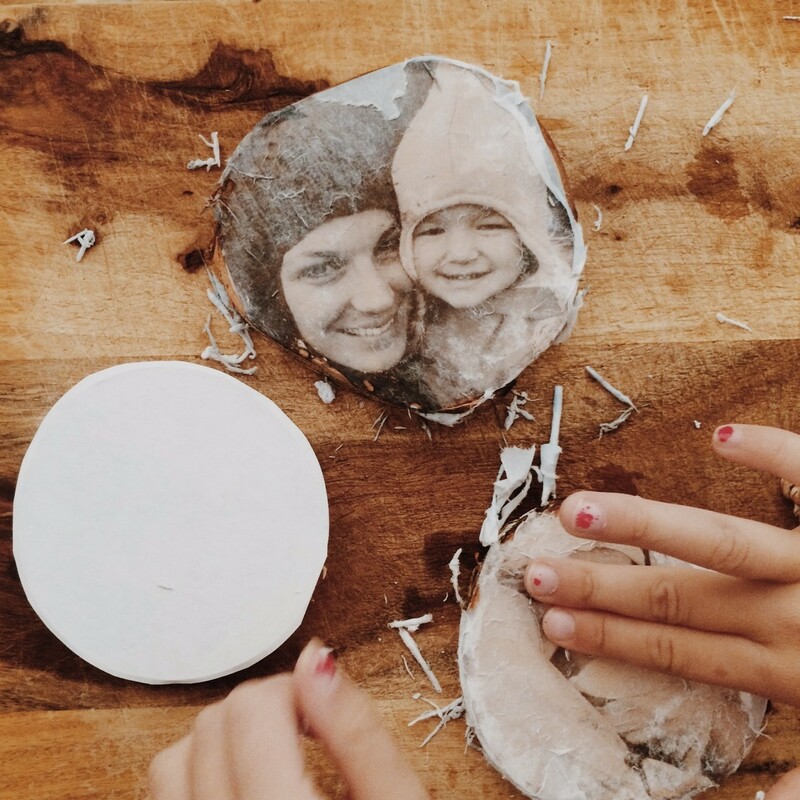 After you have your 4″x4″, black and white photo image you can cut it down to size and paste it, image size down, on the wood disc, using the gel medium. After you have pasted your image using the gel medium you can smooth out your photo paper and try to relieve any air pockets. Make sure your photo is firmly and smoothly in place. 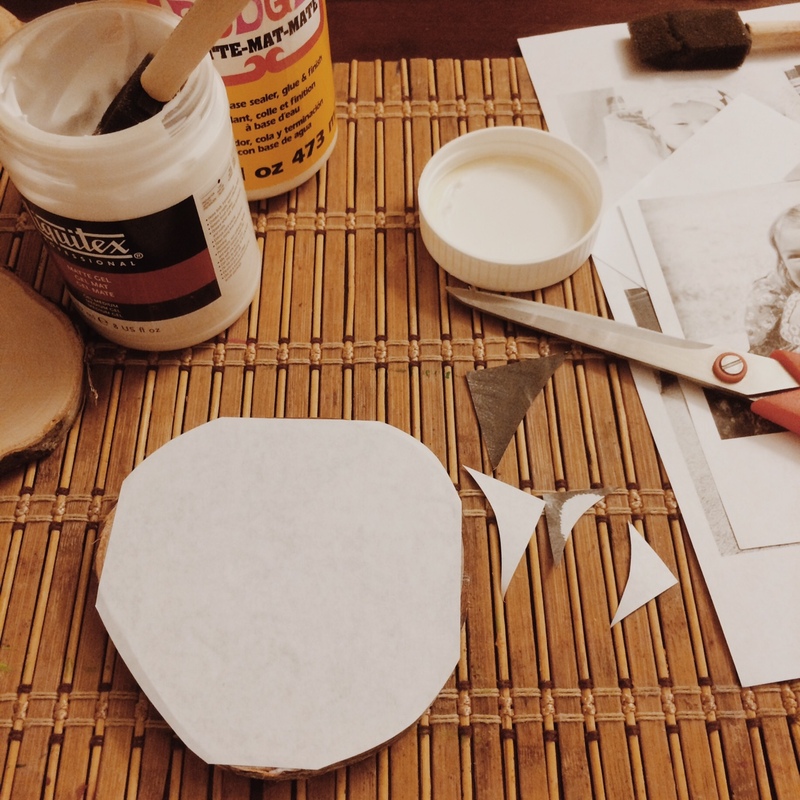 Next, go ahead and trim off the excess paper around the edge of the wood disc. Now it’s time to let the photos dry overnight. In the morning you are ready for the fun part! take your ornament and run it under a water faucet for a few seconds to adequately soak the paper. Put your ornament down and start to gently, with your hands, rub off the excess paper. 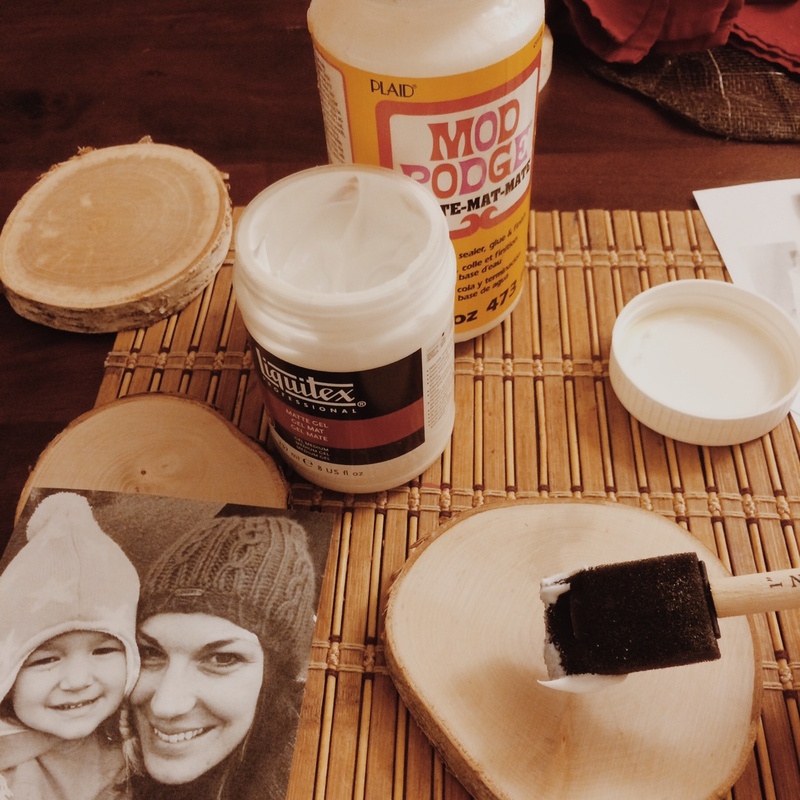 When you do this, the ink will remain on the wood piece. Continue on until you get most of the white paper off of your ornament. Be gentle while removing the paper so you don’t accidentally make a hole or scratch on the ornament. 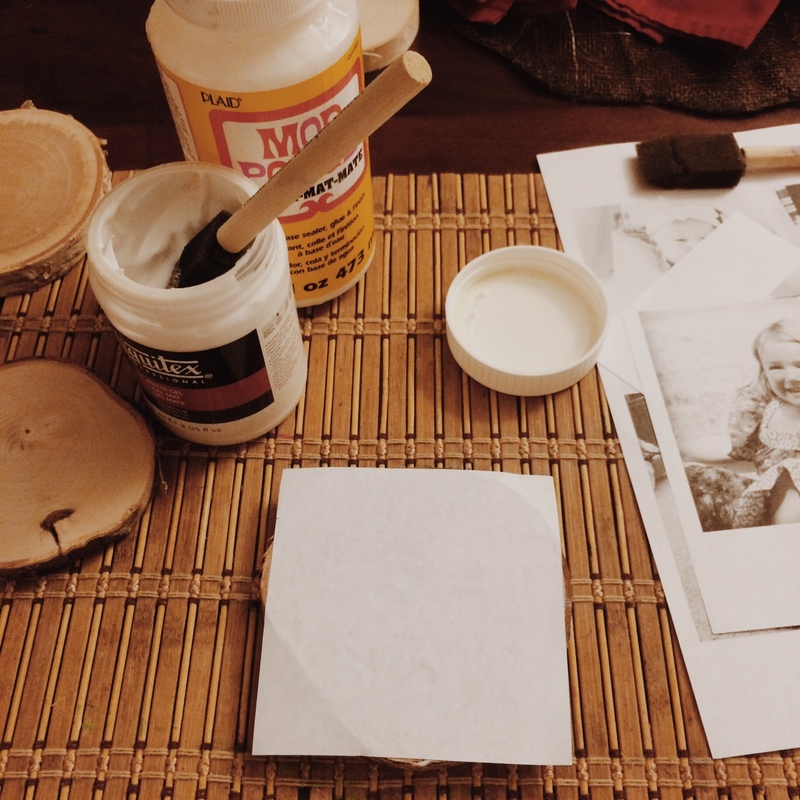 It does happen occasionally though so don’t fret, the idea here is to look rustic and come up with a natural photo transfer to wood. 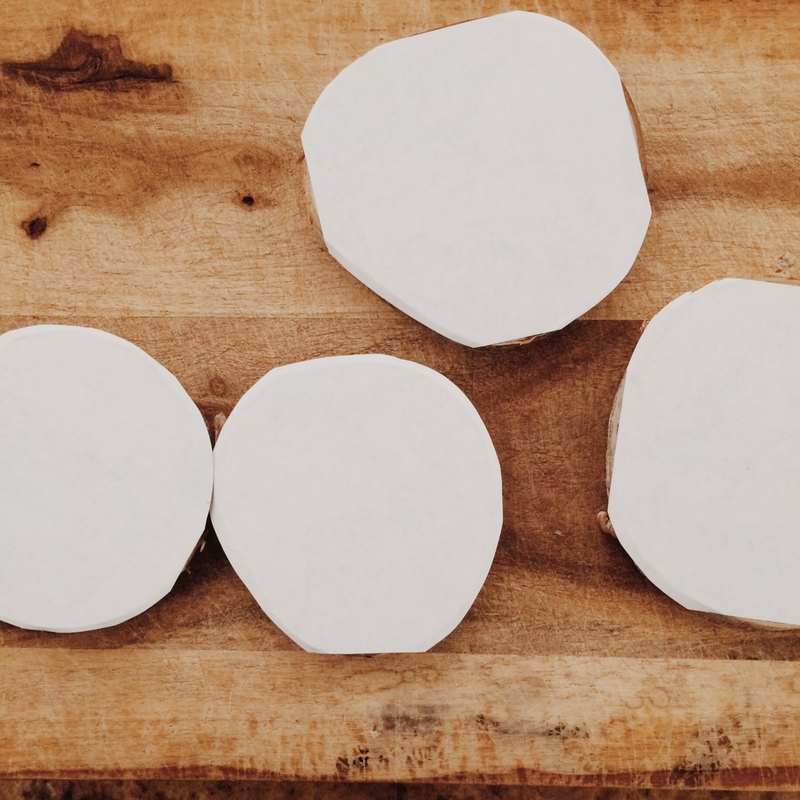 Once you are finished removing the excess paper from the ornament, it is now time to drill a hole, if you want, into the top portion of the ornament. 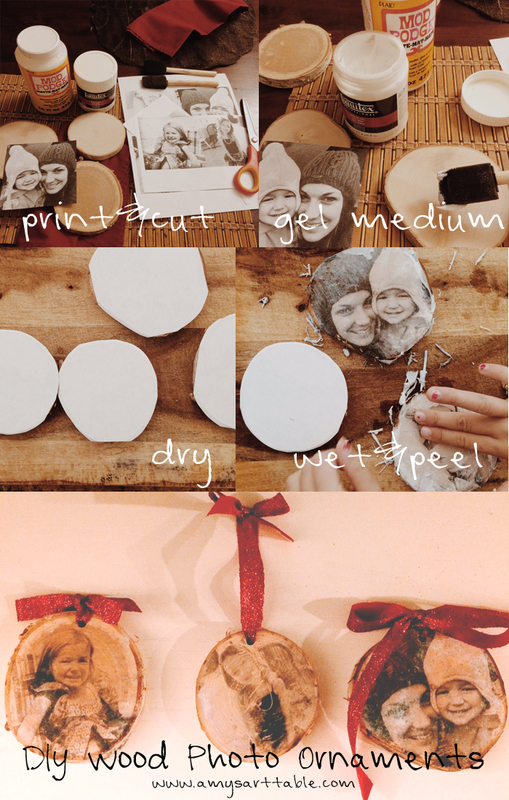 Use mod podge to seal the entire photo ornament and once it is dry, add a shiny ribbon to your ornament! This project can make some really great gifts this Christmas! Give it a try, the kids can even help you, which they will love! Be sure to come back to visit the site for more Family DIY projects and more Christmas ideas in the coming weeks. Subscribe to stay in the loop! 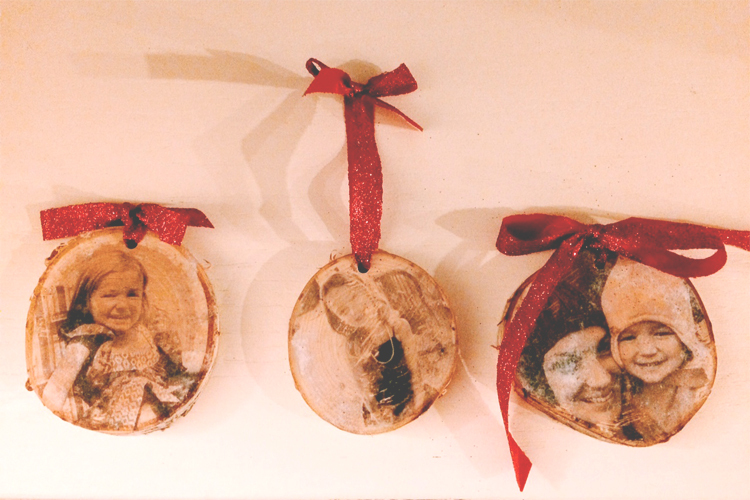 What a great craft to do with your family. All ages will love this one!